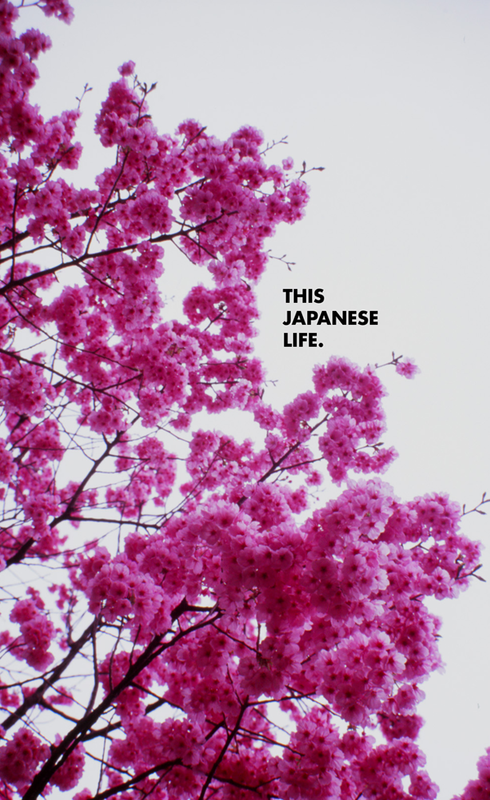 This Japanese Life: The Book | This Japanese Life. I’ve been writing this blog for three years, from the moment I knew I’d be living in Japan. Since then I’ve tried to write from an honest perspective about the things that have happened to me here, from figuring out the garbage sorting system all the way up to handling an existential crisis spawned by a bento box. Initially I just wanted to keep a record of all the stuff I wish people had told me. A lot of people tried, but it’s difficult to understand just how profoundly stupid a lot of us are when we first arrive in Japan. By the time someone gets confident enough to explain it, they’re already littering their conversations with weird Japanese slang or assumptions that we know… anything. Writing every week forced me to do my homework. As I stuck around, I found more fascinating stuff than I’d ever imagined. This country is a writer’s dream. But I also started being more honest about what it felt like to really live here. This was a kind of homework, too — realizing my anxieties, I found that writing about them forced me to imagine solutions. When I was was interviewed by The Japan Times a year ago about this blog, I had never really reflected on it. Being forced to bore someone about it for an hour meant finally having to articulate what I was doing. I came to understand that this wasn’t a site about Japan, per se. It was about tackling anxiety through Japanese traditions. Being in Japan and researching Japanese Zen and Shinto, I couldn’t help but connect my feelings of discomfort to the feelings of peace and calm that these Japanese traditions kept at their core. But more than that, everything I came to understand about Japan put me at ease – from understanding the history of sushi to why people drink so much to how people smoke — the more I understood, the more comfortable I was. I ended up with about 880 typewritten pages. Because anxiety is the blood that pumps through this blog, I decided to whittle it down to 221, which contains every post dealing with anxiety or culture shock. They are all included in this single volume so it’s easy to find in one place, should my kids ever decide to embarrass me, or if I someday become a spy and some foreign government wants to design a perfect form of psychological torture. Or, of course, in case my three years in Japan can actually help someone else – maybe you! – if not with good advice (which I can’t guarantee) then at least with the knowledge that somebody else is going just as crazy as you are. Because one of the things about living in an expat community in Japan is that nobody talks about what it really feels like to be here. Nobody talks about the tiny humiliations that add up to one big one, or the struggle to climb a mountain of assimilation that seems to always get steeper, or the way it feels like your entire personality has left and replaced the real you with a Japanese-influenced psychological doppleganger. I get why nobody talks about it – it can be self-indulgent, it can seem whiny, we’re supposed to be happy to be here, etc. But the only thing crazier than saying these things out loud is never talking about these things at all. Alright! I’m on board with that. Have you read this thing? I hope you guys like the book, or the electric book or whatever the “e” stands for. Let me know what you think by leaving comments below – perhaps I’ll even be in your time zone. If you want to know about any stuff I do in the future, you really should “like” This Japanese Life on Facebook. I haven’t read the book yet, but I plan on buying it very soon. I’m guessing both reviews are spot on. This is the best blog I’ve ever read, hands down. I’ve never been to Japan (but hope to go for a few weeks soon), but the insights and observations imparted to us on a weekly basis by the author have relevance no matter where you live. Absolutely great stuff! I will most likely buy your book soon considering that soon I will have to cope with adapting to Japan as well, I am sure your book, and your blog alike will be a great guide and help through my own anxieties. Not only did your book teach me about life in Japan, it also taught me things about life in general. Thank you. Even though I’m only halfway through reading your book, although I frequently read your later blog posts, I wrote a review of your book at http://sojourningelts.wordpress.com/2014/12/26/book-review-this-japanese-life/ I hope you are not discouraged by the few negative reviews on Amazon. I look forward to finishing the book before the year ends!